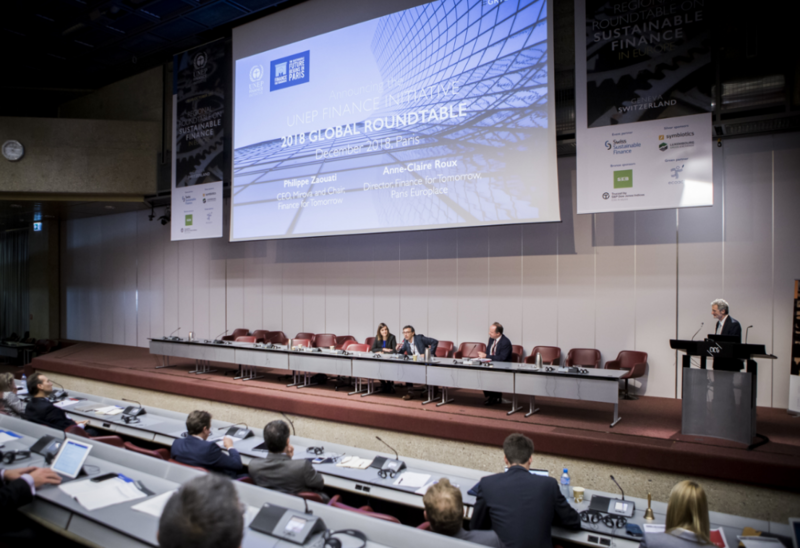 During UNEP FI’s Regional Roundtable on Sustainable Finance in Europe, Anne-Claire Roux, Director of Finance for Tomorrow and Philippe Zaouati, CEO at Mirova announced that the next UNEP FI Global Roundtable will take place in Paris in November 2018, reaffirming the city’s role as a hub for sustainable finance. Paris-based Finance for Tomorrow is a member of UNEP FI’s Positive Impact Finance initiative, and Mirova, the second-largest European manager of open-ended SRI funds and social business funds is a UNEP FI signatory, also headquartered in Paris. Over the years, UNEP FI’s Global Roundtable has become the key global agenda-setting event on sustainable finance, bringing together hundreds of leaders from all parts of the financial system as well as from civil society, academia, government and the United Nations.